According to the United Nations, a staggering 244 million people lived outside their country of birth in 2015. That’s roughly 3.3 percent of the global population, an increase of 41 percent from the year 2000. If the world’s migrant population formed a new nation, it would be the fifth largest. Of course, in reality migrants are dispersed throughout the world. Their movement is part of the international shift towards globalization. In a 2016 BBC poll, 51 percent of respondents in 18 different countries identified more as global citizens than citizens of their birth country. Most migrants leave home in search of economic prosperity, for a higher quality of life, or to join friends and family. The customs they bring blend with the culture of their destination, creating a richer, more diverse world. It’s the reason some of the best kebab shops are in Berlin and Chinese New Year is a national holiday in a small African country. U.N. Population Division data reveals that the United States hosts more immigrants than any other nation, followed by Germany, Russia, Saudi Arabia, the United Kingdom, and the United Arab Emirates; while the majority of migrants come from India, Mexico, Russia, and China. 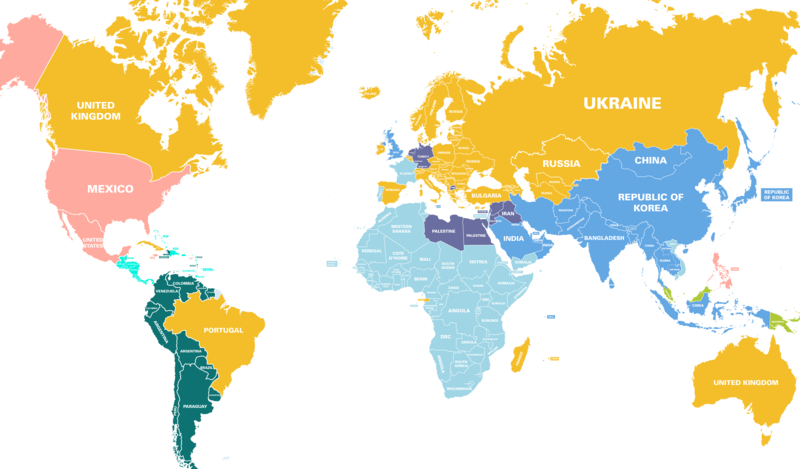 We took it a step further and mapped out all the top migrant populations around the world. Check out our immigration map for a closer look.